Christmas is near and holidays already started for many of us. This time of the year is really fun and exciting. 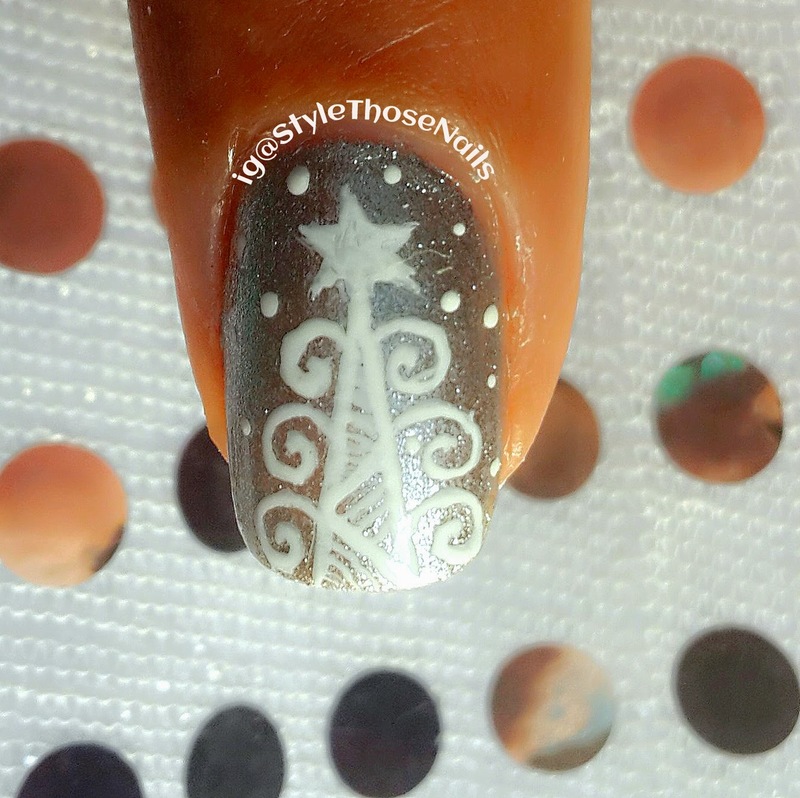 As I am doing 31days Challenge for December which is my first 31 days challenge I already did a lot of holidays and Christmas Nail designs. You can follow me on Instagram and Facebook to check them out. 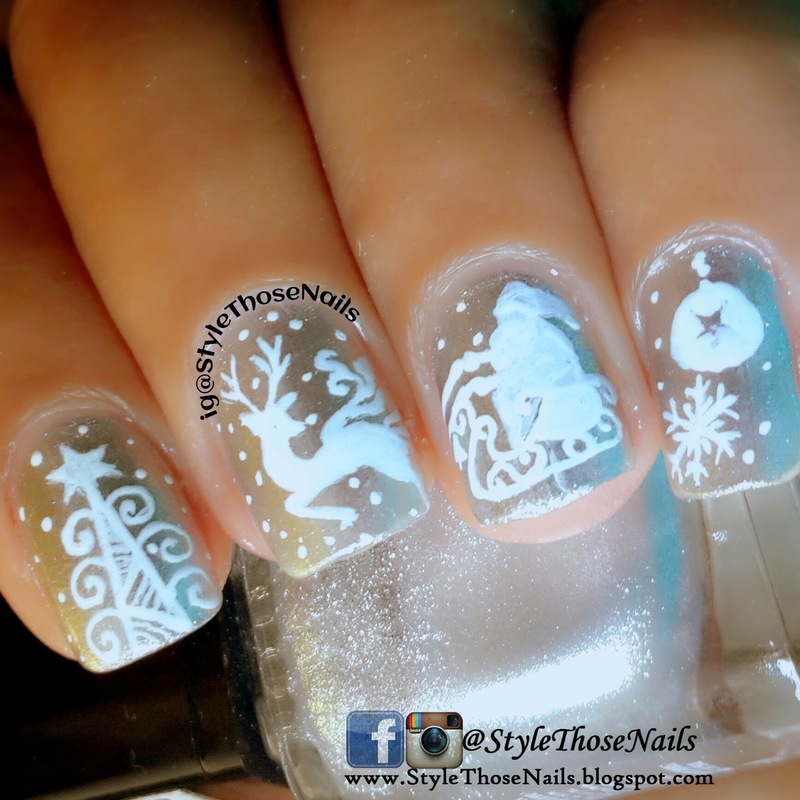 Today I am sharing white Christmas nails inspired by Song "I'm dreaming of a white christmas" for STNchallenges theme Christmas/Holidays. 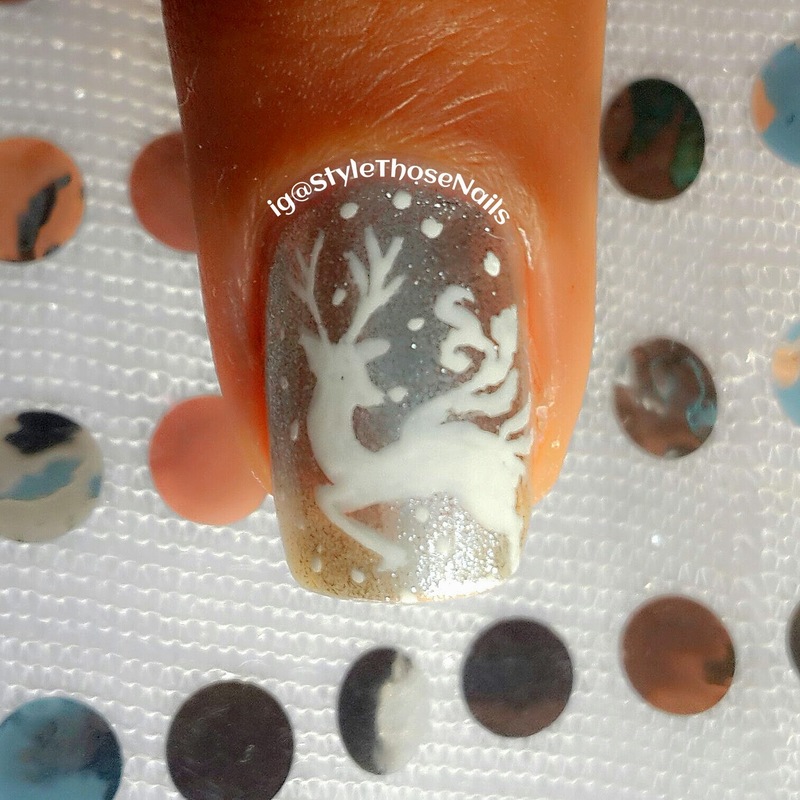 I feel this is till now my best Christmas theme Nailart. 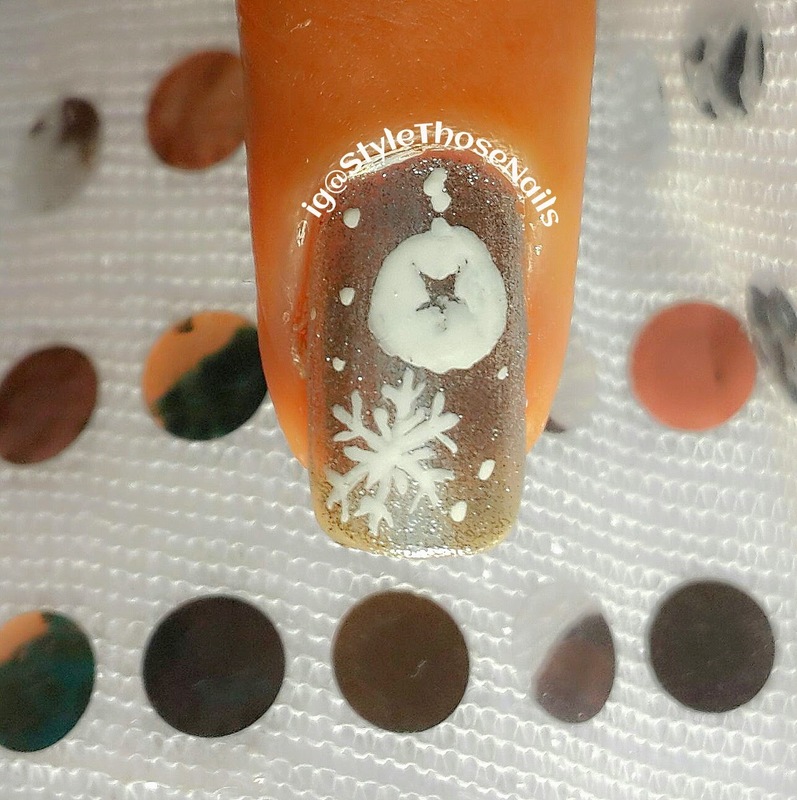 Initially I had no idea how to paint white on white lol later it came to my mind that a silver background can bring out the beauty of white :) I painted different elements of christmas using white acrylic paint. 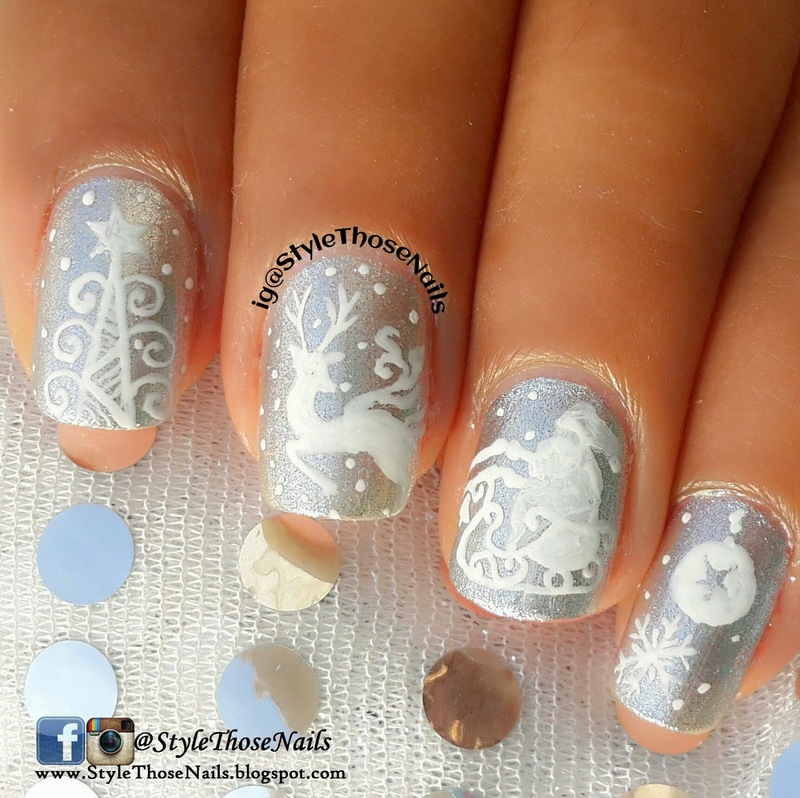 You can have a look at close-up of each nail below . 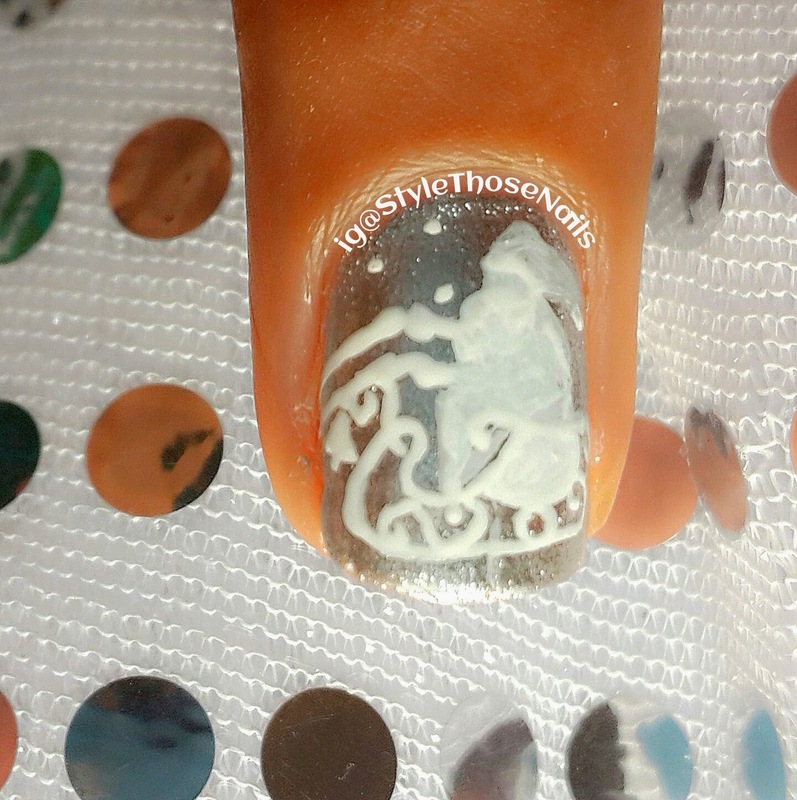 I hope you like this nailart as much as I do.